This spotlight edition is a real inspiration. I have met many people who have some great side hustles over the years but this one is right up there for me. I challenge anyone who says they don’t have enough time, they don’t know enough, they don’t have enough money etc to read this and then ask yourself the question: What is really stopping you? I would like to introduce Elliot, we met across the vibrant and ever helpful hustle community on Instagram not so long ago. Even during this short period of me following him I am super impressed at what he has achieved in such a short space of time. Primarily he is a book seller on Amazon, something I have discussed many times on here before. But Elliot’s hustles has taken him from a side income into something quite spectacular. (ME) Lets start off with a little intro about yourself. What do you do and how did you get into book selling on Amazon? Hi! My names Elliott Stoutt Aka FBA Journey and I am a full-time head of department in a secondary school and a part-time Amazon FBA bookseller. I have been selling used books on Amazon now for over two years and things have gone from strength to strength. The reason I started to get into selling online was that I knew as well as teaching I had to fulfill my restlessness for making an additional stream of income. The thought of one job dictating my rent, my car, and my food bills frightened me enough to start. Selling on Amazon initially began when I came across Reezy Resells whilst listening to a GaryVee podcast. I was intrigued that Amazon had a selling platform so I immediately began YouTubing everything and self-taught myself. I started with £50 and went out to my local charity shops and bought random books including a few board games and sent these into Amazon. I still remember my first sale. It was a monopoly Yorkshire edition and it sold for £40 and I bought it for £2.50. I was instantly hooked and the rest; as cliche as it sounds, is history. (ME) It says on your Instagram feed you are documenting your journey to £100K! – Wow, that is some number. What is the motivation behind this? The number was a very big amount that I really didn’t see possible in achieving. However, it was really important to have something that I had to work towards. 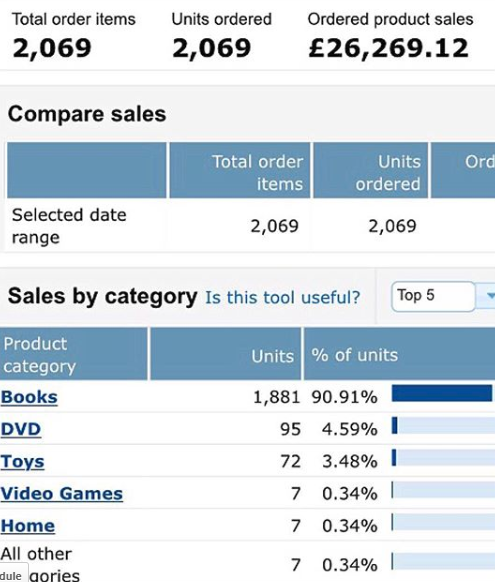 The thought of selling used dusty books from charity shops and making £100,000 in sales is very unimaginable especially from where I am from, but the number NOW just proves anything is possible with a little patience and determination. (Me) I have followed you on a few of your sourcing trips via your Instagram Stories. Can you tell us, do you buy in bulk or cherry pick from charity shops etc? Any preference if you do both? So my normal sourcing trip would consist of 3 to 5 different towns that had 4 to 6 charity shops in each. I simply go to the charity shops and start scanning all the non-fiction books and hopefully come across some very profitable books. Academia photography, art history, cooking these are just a few awesome genres that can generate massive profits. What genre should I go for? Which books should I go for first and scan? This is a question I get a lot through my Instagram DM’s. My answer is simply non-fiction. Scan everything on the shelves and do not leave a book behind, you never know, you may come across a diamond in the rough. One book can change your whole day. (Me) You mentioned you are teacher too, great stuff. You must have a busy schedule. How do you manage your time effectively? Monday to Friday I am extremely busy fulfilling my full-time job and there is not a chance that I could finish work before 5 o’clock and go to the charity shops. However you can thrift online through websites and platforms such as Facebook marketplace gumtree and Shpock so this has been a godsend. As soon as Saturday comes I am out the door by 9 o’clock and I thrift and source for around 5 to 6 hours. I then get home scan the books and price them up and box them ready for sending them out on Monday. I send an average of 40 to 70 books a week. Then I do repricing once every three weeks and do this manually as I have tried re-pricing software is and it hasn’t worked for me. (Me) Do you have any influencers? Anyone you think deserves a shout out? Gary Vaynerchuk – inspires me everyday to never be satisfied. (Me) You have recently wrote an eBook, congrats on that! Can you tell us a bit about it and who would benefit from it? Writing the e-book has been a massive accomplishment for me. I wanted to create something that was very practical and affordable for your average person starting out on Amazon. As well as this I wanted to put advice and tips in one place instead of it being all over the web such as YouTube and blogs. I also wanted to create something that was a step-by-step process and sellers could quite easily get the e-book up on their phone and take one rule every single time they go out sourcing and apply it. I have sold over 40 copies of the e-book and I have had some incredible feedback. 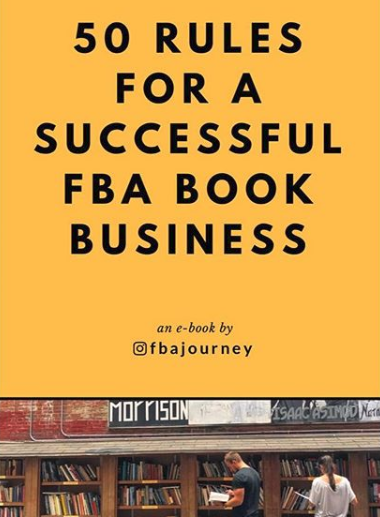 To get the e-book – ‘50 Rules for a Successful FBA Book Business’, just simply DM Elliot on Instagram. (Me) We always finish here with a tip for any new starters. 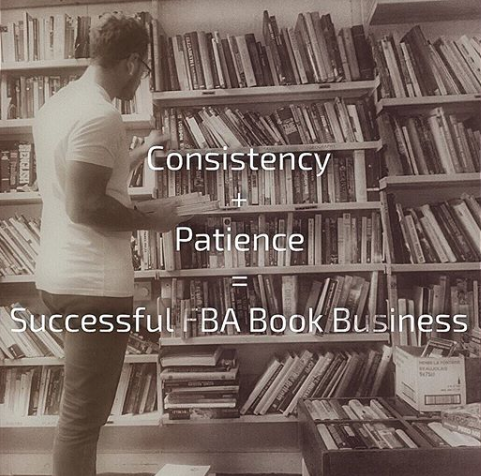 What would be your number one tip for anyone thinking of getting into Amazon FBA bookselling? The key to a successful Amazon FBA business is consistency and patience. By consistency, I mean, sending units to Amazon every single week. Even if the shipment is only 20 books you have to make sure that you are sending things to Amazon. It is a numbers game, the more units you have at Amazon the more sales you are going to get. As for patience, people think they’re going to change the world overnight and your sales are going to be three and four figures daily. Just be realistic, it takes time to grow a successful business, invest everything you make back into the business and let it snowball and gradually get bigger and bigger one day at a time. Only take out 10% of all profits and use that for investing in other streams of income. The rest you need to invest in more products and play the long game. I would firstly like to thank Elliot and wish him all the best on his incredible book journey. There are so many positives to take away from this. He started his business with just £50 – which really just shows you. You don’t need to get massive business loans to start something up. He bootstrapped his whole business from the bottom up. Really impressive. Also – he does the whole thing part time. 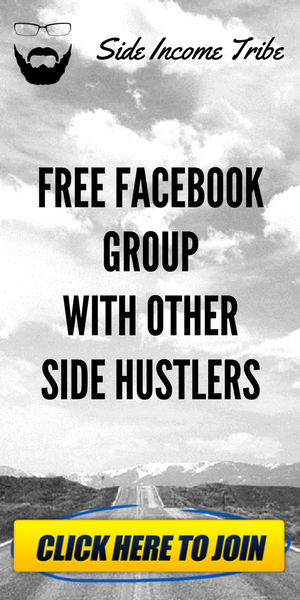 I know there are many readers out there who strive for a second income to help out with the daily grind. I really hope Elliot and his story can inspire you. As a bare minimum I 100% recommend you follow him on Instagram, and if you want to give bookselling on Amazon a go and take things to the next level then look no further than his eBook. You can DM him on Instagram and he will sort you out with a copy. 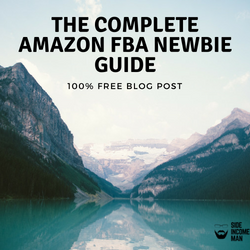 Everything you will need to know about setting up a book business on Amazon FBA. Proven and exclusive tricks of the trade not given out anywhere before that work time and time again. Easy to follow tips you can apply each day into your business. Previous Previous post: 11 Of The Best Motivational Quotes To Inspire Side Hustlers! Next Next post: How This “Indie Chick” Cleared Debt And Started To Build Wealth! Elliot is really an inspiration, and I’ll follow some of his advices to start hustling myself. Yes – quite a story! Thanks for stopping by!